Buying a home or commercial property in Miami Valley is an exciting venture. But with all of the benefits that come with owning a house or business, property ownership also comes with drawbacks. 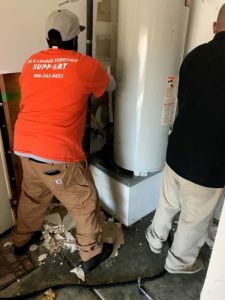 Whether it is water damage caused by pipe bursts or a natural disaster, as a property owner you need to get in touch with a team of certified commercial restoration experts immediately. Time is of the essence when your home or office building is suffering from water damage. This is why Miami Valley residents have come to reply on the swift commercial restoration services of 911 Restoration. Equipped with years of expertise and state-of-the-art equipment, our licensed and insured technicians can combat any sized commercial restoration job they’re faced with. 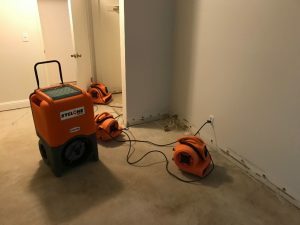 With capable dehumidifiers, blowers, and dryers, in addition to their competent skills and experience, 911 Restoration of Miami Valley provides you with quick, quality results designed to get your property back on track right away. Water Damage Restoration: A pipe burst or leaking ceiling can seem like a minor inconvenience, but if not dealt with property, the aftermath of water damage can take a massive toll on your house or retail complex. As professionals, we understand that time equates to money if you have liquid in your ceiling, floor, or walls. This is why we’ll be at your door within just 45 minutes of your initial phone call. Whether you’re located across town or across the county, we’re committed to offering swift services. Speedy Drying – It is critical to get all of the items and components of your property thoroughly dry right away. This can save your possessions and building from further damage and combat mold infestation, saving you time, money, and health. Mold Removal – If you sit on your water damage issue, you’ll have more problems to deal with than wet floors and furniture. If there is stagnant water in your walls or floor, it can be a breeding ground for mold and other bacteria. Mold will compromise your home’s structural integrity and your health. You need to employ a professional mold removal company right away to efficiently deal with this issue. 911 Restoration of Miami Valley is not only effective, we’re empathetic too. We are committed to offering water damage restoration services with a smile. Our staff understands that seeing your home and possessions underwater can be a jarring experience. It can invoke feelings of stress, anger, and sadness. This is why our team of trustworthy professionals always put our clients at the forefront of our attention. No matter how big or small the job is, we’re here to lend a hand when you need it the most. If your home or apartment building has suffered from water damage, it is in your best interest to act fast. Sitting on the problem will only make it worse, including creating a haven where mold will flourish. Mold not only eats away at your possessions and the structural integrity of your building, but it will also present serious health problems for anyone who enters into the property. From upper respiratory infections to asthma attacks and wheezing, mold can affect anyone it comes into contact with. This is why it is imperative that you act fast. Contact 911 Restoration of Miami Valley today to rectify your water damage and mold removal problems. Our team will be at your establishment within just 45 minutes of your first phone call to help remediate the problem swiftly. For commercial and residential property owners of Miami Valley who have suffered from water damage, now is the time to act. Contact 911 Restoration today.